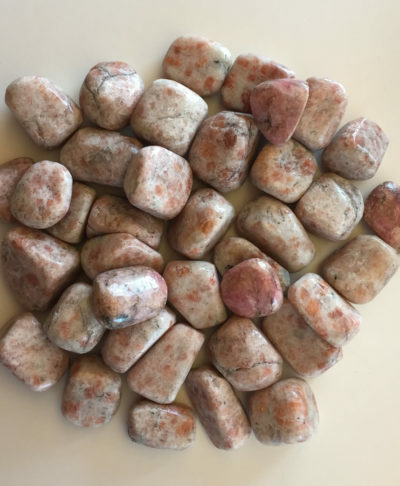 These sunstone tumbles have a beautiful pink to red color or patches on brown. Look closely to even find rose alike patterns on them. 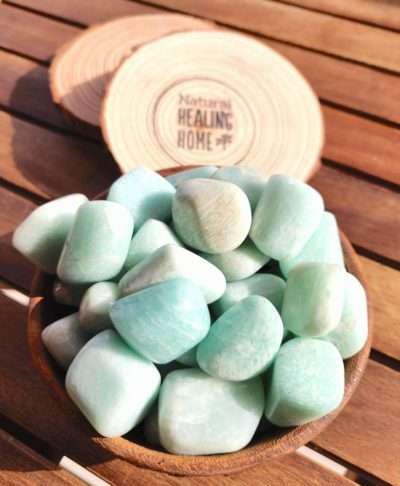 Sunstone crystals are good if you are emotionally dependant and need to change that. 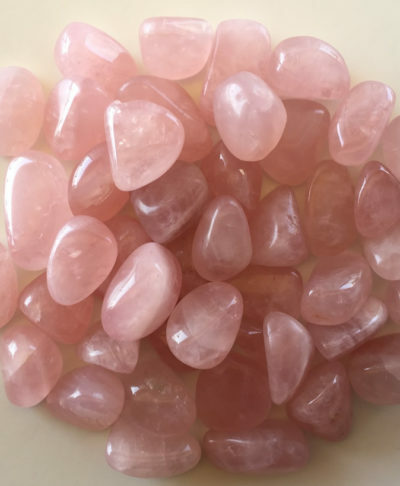 Sunstone as the names suggests has fire energy; formed within lava and when it is released on the earth surface and the lava begins to weather, these crystals are exposed for use. Sunstone is said to uncover talents and bring unexpected prosperity. Colors: Golden orange, red, red-brown, brown-orange and green. Clean red are very rare to find. Physical benefits: May help with all lower body ailments; reproductive organs, digestions, stomach, ulcers, prostate, feet, legs, etc. Emotional benefits: Eases phobias of dark places and helps become less fearful in presence of phobia triggers. Affirmation: I am whole and happy. Golden orange, red, red-brown, brown-orange and pinkish-red.